Mr. Jones is having trouble motivating his fifth grade band students to practice. 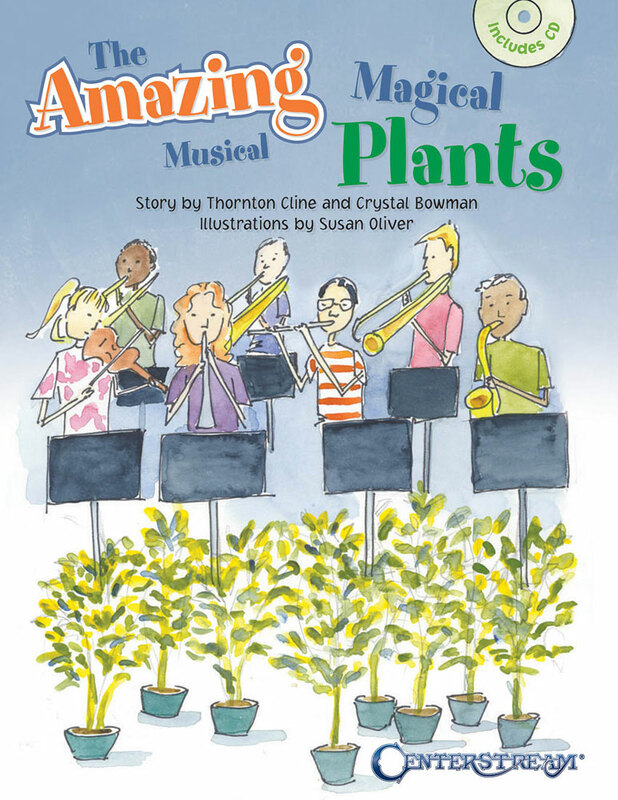 When he discovers a packet of magical musical plant seeds in an old trombone case, he gets an idea. Mr. Jones plants the seeds in pots of soil and gives one to each of his students to take home. He tells the students how to care for the seeds and to play their instrumetns every day to make the plants grow. Some of his students laugh at his crazy idea, but some of his students take him seriously. The students soon discover what happens when they practice and when they do not. The whimsical illustrations by acclaimed illustrator Susan Oliver add to the charm of this delightful story. The book includes a CD of ten easy original songs with recorded examples of each band instrument.